Answer honestly to yourself: How satisfied are you really with your life and career? Would you like to get proven insights that will help you get more from yourself and by default, more from your life? The key to doing that is having a consistently healthy state of mind. This 90-minute talk, recorded in front of a live audience in Dublin during 2017, will give you insights that could last a lifetime and impact you and the people around you in hugely positive ways – in life, business and sport. This 6 Week Evening Program gives you a better understanding of your how your mind works so that you can improve your results through better clarity, reduced stress and improved confidence. This programme is designed to help you improve your performance in any field – business, sports, life. Join us today to improve your confidence, reduce stress levels and gain improved clarity that impacts on all areas of your life. If you’re interested in improving your levels of Clarity & Focus then these video series should be of interest. Watch 4 short videos with content on how to do exactly that. Are You Busy But Not Sure Where You’re Going? Are You Looking For Real Clarity And Focus? Do You Need Help Deciding On Which Path Is Your Best One? 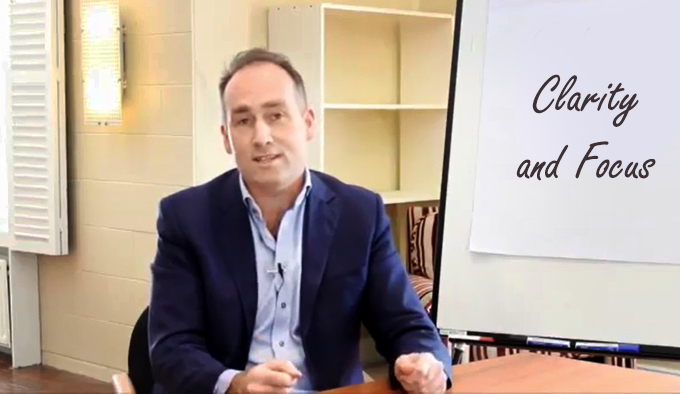 BluePrint Online is a unique and successful online workshop that helps you gain clarity, motivation and focus, using a proven method. Designed by a leading coach and facilitator, and run for hundreds of people over the past 7 years, BluePrint is now available online for you to complete at your own time and pace, complete with a workbook that you can use every year. Wouldn’t you agree that it’s probably more vital than ever to be clear on what your priorities are? 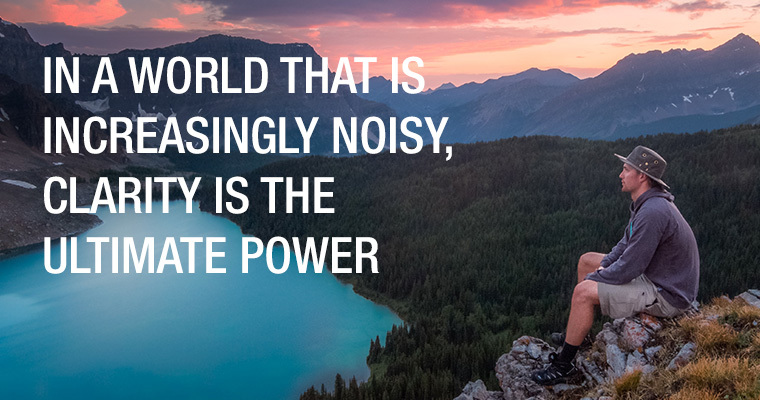 In today’s fast changing and noisy world, Clarity is perhaps the ultimate advantage. With so much change happening, businesses are struggling to maintain and increase productivity. And figures like the ones above are not unusual. And part of the problem is that we are using an outdated model to manage our time. A model that was based on the ‘industrial’ factory age and not where we find ourselves – the information age/digital age. There has been an explosion in information, and technology has changed the way we do work forever. 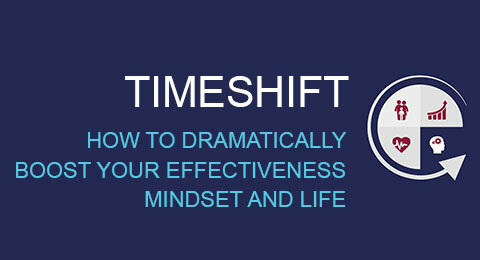 As a result there will be a massive shift in the way we use our time – a TimeShift, which once understood change the way you look at and live your business and personal lives. 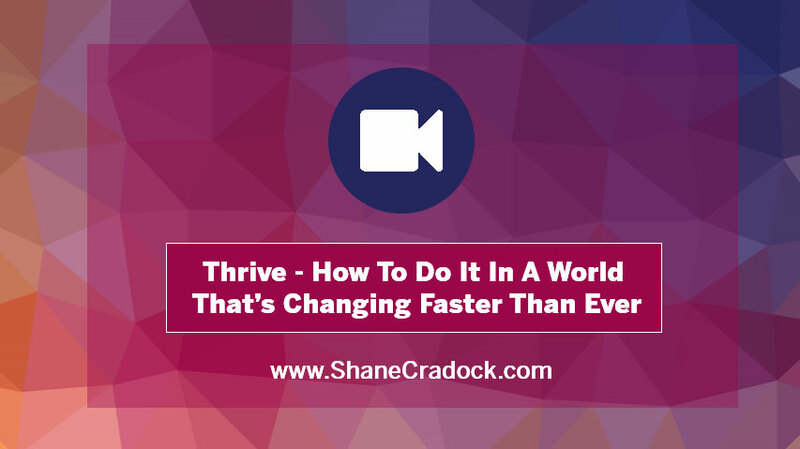 Recorded in June 2016 at the Irish Aviation Centre in Dublin, watch Shane share insights with an audience around how to improve your results, professionally and personally life, in The Digital Age. 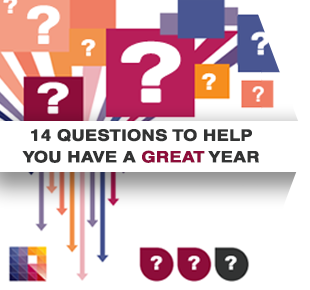 What do you believe has the biggest impact on your life, health, career and business? In a world that seems to be getting busier and noisier, you’d be forgiven for having given up on getting that elusive ‘balance’ – to have a successful career and a fulfilling personal life. Learn practical down to earth insights on what you can do immediately to improve your life, career and business. For open minded and experienced leaders: Business owners, Directors, C-level executives and Self-Employed people. As you know it’s often lonely being a leader and not everyone can relate to it. The Thrive Experience gives you an opportunity to be around people who really understand the challenges but can also help with the opportunities. The Thrive Experience is a powerful way for attendees to get clarity, insights and focus on key areas of their lives.